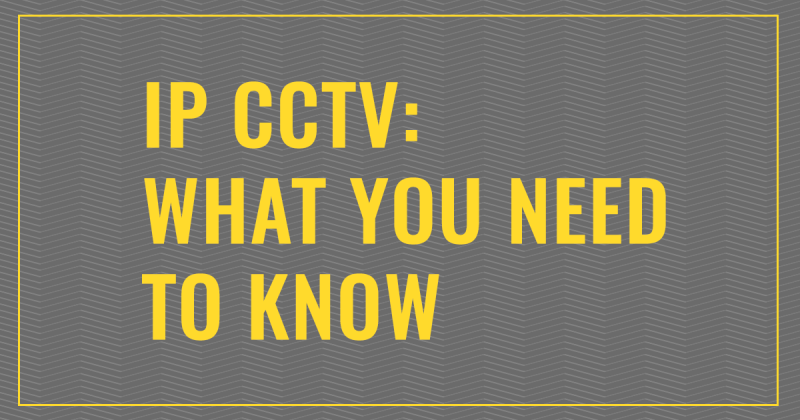 IP CCTV systems offer you a broad range of features you can benefit from, compared to analogue systems. One of the key differences is that the cameras and recorder have their own IP (Internet Protocol) address. An instant benefit is that you’ll be able to access and control your CCTV devices without having to climb up to the loft where the recorder is usually kept. • The higher the resolution, the higher the bandwidth (how much information your internet connection can handle at a time) you’ll need. Tweaking camera settings or allocating a dedicated network for your CCTV can help remedy this. • Change the default password! This is the single most important thing you should do, otherwise, you are risking your camera being accessed by strangers on the Internet. Remember that your camera is online, so keep it secure. • Save space on your hard drive by setting your cameras to start recording when movement is detected or when a threshold is crossed. At the time of this post, IP CCTV is at the top of the game. As it happens with all technological developments, you can expect it to get better, become more powerful, easier to use, and integrate (The first hard disk drive for example, could only hold less than 5GB, let that sink in for a moment). Last but not least, it's worth mentioning that exciting developments are happening in the world of the “Internet of Things” (Also referred to as "IoT": smart devices that communicate with each other and apps via the Internet to make our lives easier). In the future, when the "IoT" becomes widely spread, a surveillance system where devices communicate with each other can keep your property safe from intruders and even occurrences like fire. For example, if the IP cameras see a fire breaking out, the fire brigade would be automatically alerted to take quick control of the situation. Next time you hear how great IP CCTV systems are and why they're future proof, you'll know what all the buzz is about. While you're here, check this IP CCTV kit, now on sale! Click the image below to find out more.